TOKYO (AP) — It's easy to write off North Korea's threats to strike the United States with a nuclear-tipped missile as bluster: It has never demonstrated the capability to deploy a missile that could reach the Pacific island of Guam, let alone the mainland U.S. Though it remains a highly unlikely scenario, Japanese officials have long feared that if North Korea ever decides to play its nuclear card it has not only the means but several potential motives for launching an attack on Tokyo or major U.S. military installations on Japan's main island. And while a conventional missile attack is far more likely, Tokyo is taking North Korea's nuclear rhetoric seriously. Amid reports North Korea is preparing a missile launch or another nuclear test, Japan on Tuesday deployed PAC-3 missile interceptors in key locations around Tokyo. Japan has taken similar measures before, but has never actually tried to shoot down a North Korean missile and was not expected to try to do so unless there was a clear threat to Japanese territory. Japan's defense minister has also reportedly put destroyers with missile interception systems on alert in the Sea of Japan. 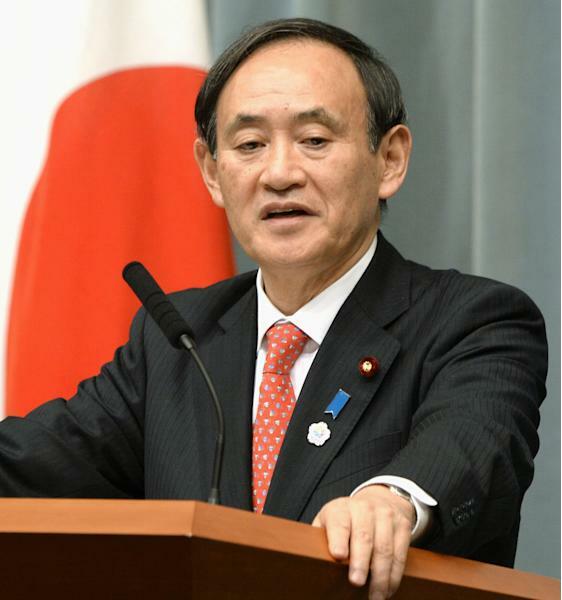 "We are doing all we can to protect the safety of our nation," chief Cabinet spokesman Yoshihide Suga said Monday, though he and Ministry of Defense officials refused to confirm the reports about the naval alert, saying they do not want to "show their cards" to North Korea. North Korea, meanwhile, issued a new threat against Japan. "We once again warn Japan against blindly toeing the U.S. policy," said an editorial Monday in the Rodong Sinmun, the official newspaper of its ruling party. "It will have to pay a dear price for its imprudent behavior." Following North Korea's third nuclear test in February, Japanese experts have increasingly voiced concerns that North Korea may already be able to hit — or at least target — U.S. bases and major population centers with nuclear warheads loaded onto its medium-range Rodong missiles. "The threat level has jumped" following the nuclear test, said Narushige Michishita, a former Ministry of Defense official and director of the Security and International Studies Program at Tokyo's National Graduate Institute for Policy Studies. 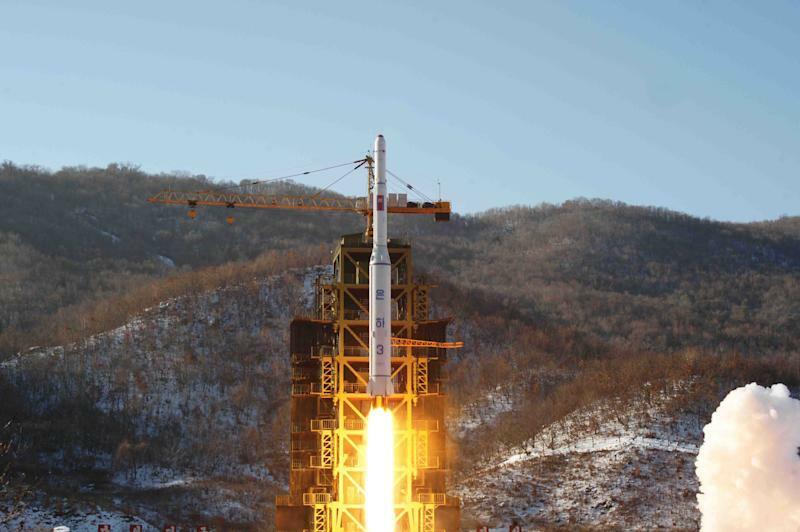 Unlike North Korea's still-under-construction intercontinental ballistic missile, or ICBM, program, its arsenal of about 300 deployed Rodong missiles has been flight tested and is thought to have a range of about 1,300 kilometers (800 miles). That is good enough to reach Tokyo and key U.S. military bases — including Yokota Air Base, which is the headquarters of the U.S. 5th Air Force; Yokosuka Naval Base, where the USS George Washington aircraft carrier and its battle group are home-based; and Misawa Air Base, a key launching point for U.S. F-16 fighters. Michishita, in an analysis published late last year, said a Rodong missile launched from North Korea would reach Japan within five to 10 minutes and, if aimed at the center of Tokyo, would have a 50-percent probability of falling somewhere within the perimeter of Tokyo's main subway system. He said Japan would be a particularly tempting target because it is close enough to feasibly reach with a conventionally or nuclear-armed missile, and the persistent animosity and distrust dating back to Japan's colonization of the Korean Peninsula in 1910 provides an ideological motive. Also, a threat against Japan could be used to drive a wedge between Tokyo and Washington. North Korea could, for example, fire one or more Rodong missiles toward Tokyo but have them fall short to frighten Japan's leaders into making concessions, stay out of a conflict on the peninsula or oppose moves by the U.S. forces in Japan to assist the South Koreans, lest Tokyo suffer a real attack. "Given North Korea's past adventurism, this scenario is within the range of its rational choices," Michishita wrote. Officials stress that simply having the ability to launch an attack does not mean it would be a success. They also say North Korea is not known to have actually deployed any nuclear-tipped missiles. Tokyo and Washington have invested billions of dollars in what is probably the world's most sophisticated ballistic missile defense shield since North Korea sent a long-range Taepodong missile over Japan's main island in 1998. Japan now has its own land- and sea-based interceptors and began launching spy satellites after the "Taepodong shock" to keep its own tabs on military activities inside North Korea. 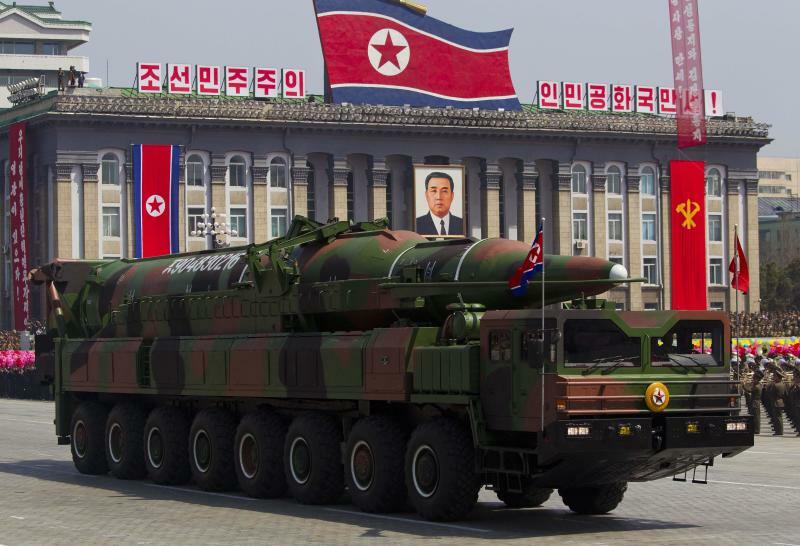 For the time being, most experts believe, North Korea cannot attack the United States with a nuclear warhead because it can't yet fashion one light enough to mount atop a long-range ICBM. But Japanese analysts are not alone in believing North Korea has cleared the "miniaturization" problem for its medium-range weapons. In April 2005, Lowell Jacoby, director of the Defense Intelligence Agency, told the Senate Armed Services Committee that North Korea had the capability to arm a missile with a nuclear device. In 2011, the same intelligence agency said North Korea "may now have" plutonium-based nuclear warheads that it can deliver by ballistic missiles, aircraft or "unconventional means." The Pentagon has since backtracked, saying it isn't clear how small a nuclear warhead the North can produce. But David Albright, a physicist at the Institute for Science and International Security think tank, said in an email he believes the North can arm Rodong missiles with nuclear warheads weighing as much as several hundred kilograms (pounds) and packing a yield in the low kilotons. That is far smaller than the bombs dropped on Hiroshima or Nagasaki but big enough to cause significant casualties in an urban area. Japan also is a better target than traditional enemy South Korea because striking so close to home with a nuclear weapon would blanket a good part of its own population with the fallout. Regardless of whom North Korea strikes — with a nuclear or conventional weapon — it can be assured of one thing: a counterattack by the United States.